If you’re a business owner, it can be difficult to navigate the complicated world of business insurance. One item that many business owners have questions about is professional liability insurance. Is it required, what does it cost, and how does it differ from general liability insurance? This article will discuss who needs professional liability insurance, what types of claims these policies cover, and much more. Unlike general liability insurance, which covers a broad range of common claims like bodily injury and property damage, professional liability insurance is geared toward covering specific perils most likely to affect your particular business. These claims can be roughly grouped into three areas: professional errors, unfulfilled promises, and irresponsible services. Professional errors - If your business makes a mistake that costs a customer money, your professional liability insurance policy can cover any ensuing legal fees, court costs, or settlements. Example: Your IT company promises a software update to a client, but the update is buggy upon release. Resolving the errors takes a few days, during which time your client cannot operate their business as usual. As a result, your client sues your company. Unfulfilled promises - If your company fails to deliver on its end of a contract, you could find yourself facing a significant dispute. The average contract dispute costs nearly $100,000, so having insurance to cover these claims is vital. Example: Your IT company fails to release a promised software product on time, affecting your client’s business operations. As a result, your client sues you for not living up to your end of the contract. Negligent services - When you make your living as an expert, you’re held to a high standard regarding that expertise. If you make an mistake that compromises one of your customers, professional liability coverage will cover you in the event of a lawsuit. Example: You’re an electrician who installed wiring in a new building. If the work you’ve done is found to be faulty or dangerous you may find yourself facing a negligence suit. What Are the Limits of Professional Liability Insurance? While professional liability insurance does cover quite a few risks of operating a specialized business, there are some areas where it does not apply. First off, you will not receive coverage through this policy for claims traditionally covered by general liability insurance, including property damage or bodily injury. Professional liability coverage also won’t help you with employment issues, like discrimination claims, which are covered by employment practices liability insurance. Additionally, professional liability insurance will not help you if you commit fraudulent business activities, violate patents or divulge trade secrets, or share personally identifiable information without permission. Not everyone needs professional liability insurance for their businesses, but quite a few entrepreneurs should acquire it. Generally speaking, anyone operating a business that provides professional services or shares expertise with customers should get a policy. The cost of acquiring professional liability coverage can vary quite a bit depending on the nature of your business, the size of your company, and other factors. Still, some basic guidelines can help estimate roughly how much you’ll need to spend on a professional liability policy for your business. In general, most companies should acquire around $1 million of annual professional liability coverage. Companies that occupy a low-risk pool can pay as little as $30 per month, whereas higher risk businesses pay somewhere between $75 and $200 per month. In other words, most typical small-to-midsize businesses should expect to spend anywhere from $1,000 to $3,000 annually for their professional liability insurance. While it’s not quite as universally applicable as general liability insurance, professional liability coverage is also an important part of the insurance puzzle for many businesses. While the price of professional liability insurance can vary by business, it’s generally affordable and well worth the cost to avoid potentially devastating legal expenses. 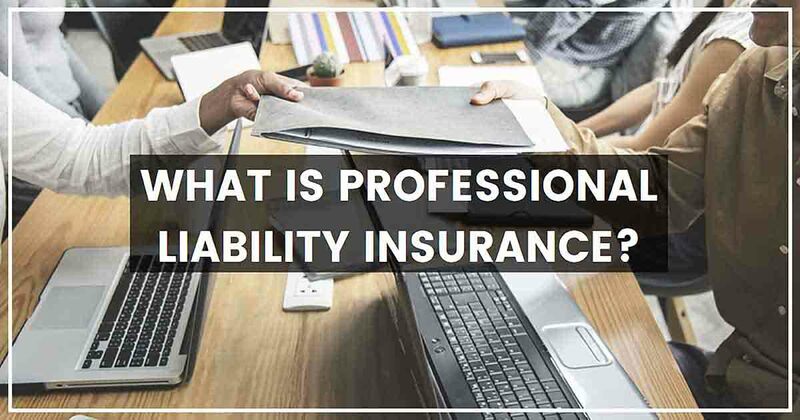 There are many businesses that can get by with only general liability protection, but if you make your living based off your expertise, professional liability is something to strongly consider.